iHappify is a company that practices and offers a service of happiness to both its clients and the people of South Africa through authentic customer experience. The company was created based on the theory of happiness; that happiness is the key attribute to add value to people and the business environment. 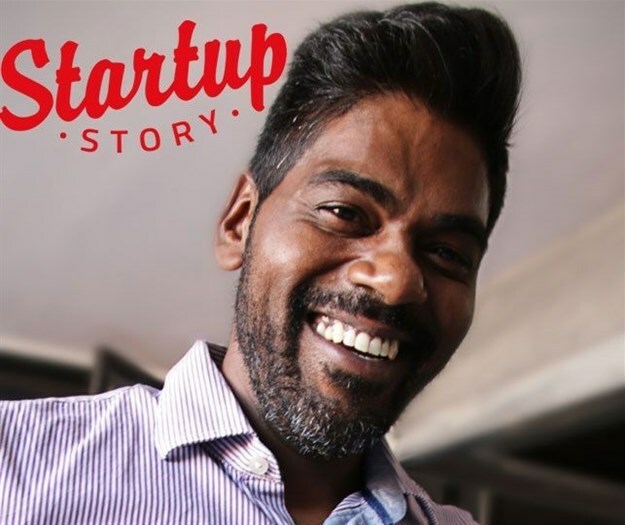 We chat to David Jonathan Padayachee, a disruptive entrepreneurial leader, founder and the chief executive officer of iHappify, to find out the journey of creating happiness and making a difference in the communities of South Africa. Can you tell us a bit about iHappify? iHappify is the representation of happiness through a company that strives to change people’s mindset about what actually makes them happy. What is your role at iHappify? My role here at iHappify is to be the leader that creates the opportunity for people to experience a happier life, but formally put; I’d say I’m the founder of the company. I started the company in July 2017. It started with a vision to bring back the human element to sociality with simple principals of life and create a positive and happy outlook on life. I knew the only way we would see the greatest impact in South Africa is to empower the youth, just with a vision, understanding of impacting the youth I took a leap of faith. I had no car, no income; however, I woke up every morning and made my way of taking my concept out to the market. Every day I woke up with purpose a heart full of faith and the biggest smile on my face! I had loads of negative situations as well as people who have laughed at me, however few mavericks who are successful entrepreneurs, visionaries, saw the value and gave me an opportunity to prove myself and that was the birth of iHappify. We provide a full spectrum of brand perception, sales, and marketing as well as customer service. Our goal is to create happy customers. We have a promotions/activation team, door-to-door sales as well as a call centre. We believe energy and excitement create the opportunity to make customers happy and increase our client’s sales and brand perception. Obstacles are always there; I feel you just get stronger! I started the company with nothing and only a vision the greatest obstacle was getting investors to invest in the business there after the next obstacle was getting the right people on the team. It is so critical to have people who believe and have faith in the vision and not just there for a paycheck. Have faith and passion in what you want to achieve, as you will be tested from all sides. The closest people around you will make you or break you, be very selective in whom you let into your space. Your staff will be your new family, treat them as such and take care of your family because your family will take care of you. Wake up each morning and find a way to make your staff, clients, and customers happier than yesterday. My proudest achievement thus far would be the fact that my people are growing, hearing they moved into a bigger house, a new car or even the simplest thing as they are growing and I living a more fulfilled life. Also managing to stay alive! The future of entrepreneurship I feel will be moving into running countries, creating a productive community all working towards the same goals. It is critical for a startup. You learn loads and fail, however you have the support to get up quicker and go at it again. I would like to see more support structures in place for future start up’s that would allow future entrepreneurs to take bigger risks and push the boundaries of our civilization. You need to be a little crazy...well, you must work against what our natural instincts are! Passion in what you do and always seeking to improve the standard way of things. High EQ as working with people is critical in achieving anything. There is always a way and you will find it. Tell us about your biggest struggle as an entrepreneur, as well as some major highlights. The biggest struggle I have had is cash flow! Yes, the one thing that can grind a business to a halt. The major highlights were signing up Supersonic Fibre To The Home internet services as a client and after 4 months reaching The number 1 spot as the best ISP in South Africa, This could have not been achieved without my mentors and business advisors. They have taught me the skills and strategy to grow as a company and they have faith and believe in iHappify. I am humbled and appreciative. Entrepreneurship is a gift, it is never about you, it is about serving others and adding value to the world we live in for the future generations to benefit. We are the crazies that push this world forward! Don’t you want to see the change for your future generations? Take that leap of faith! Where would you like to see iHappify in the next five years? I see iHappify fulfilling its vision of creating happiness in our country; I see iHappify Children’s Homes in all major cities; I see us empowering more than 500 youth and gearing them up for life! I see us as being the best reseller in South Africa and moving into the global playing field. I see happy people! Brilliant we actually need more positive companies out there!